To celebrate #shoefriday and #spring, today’s feature looks at my pick of 5 stunning peep-toe shoes. I can’t wait to get my toes out! Black Nicholas Kirkwood Groucho Slingback Courts from @Selfridges – Sensational at £490. Green Kurt Geiger Class Courts @Kurt_Geiger – Cute at £210. Christian Louboutin SO F… 100 Python Sandals from @NETAPORTER – If Only at £765. 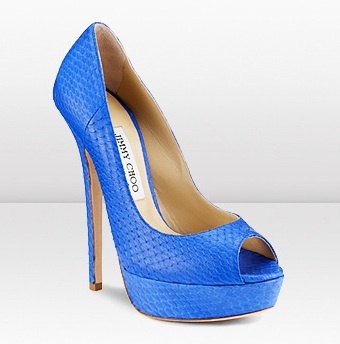 Blue Jimmy Choo Vibe Platform Peep-Toes – Divine @ £525. Taupe-Latte LK Bennett Nadina Shoe – Delicious at £175 (& 15% off online until Sunday).